Next week, I can’t promise which day yet, prints will be available to purchase of both versions. I’ll be sharing a link on my various social media sites. The big difference with these prints and all future prints will be the number available. I’ve decided to begging selling limited edition prints; which just what it says, there will be a limited number. When they sell out, that’s it, they are gone. 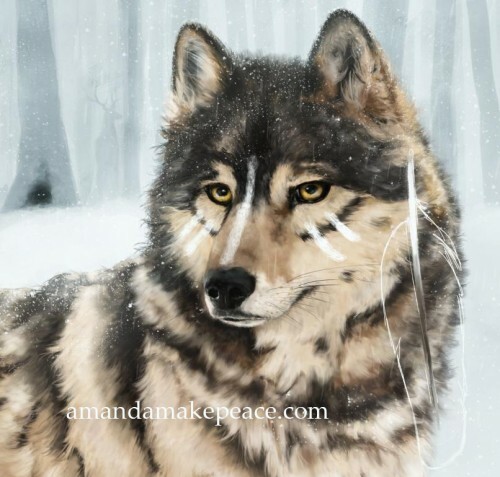 Each artwork will also have only one canvas print edition–a one of a kind. I’ll explain this all in more detail next week. Be on the look out for my announcement! 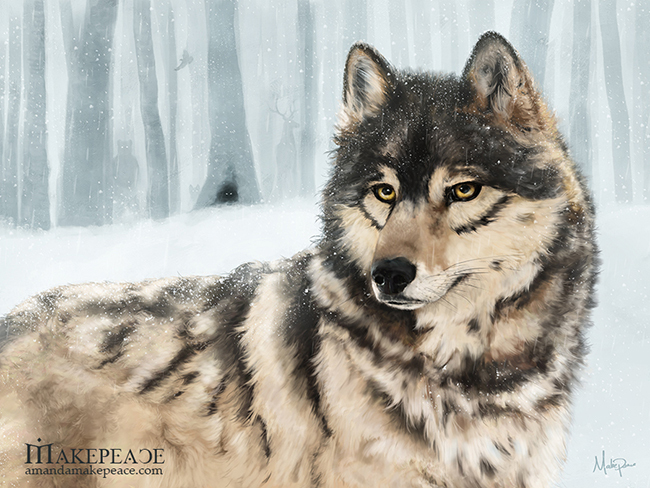 Tagged art, digital painting, fantasy art, guardian, makepeaceart, nature, wildlife, wolf.